I started with combining other stitches with crossed feather stitch. Running and pistil stitches are worked with this stitch in the first row. 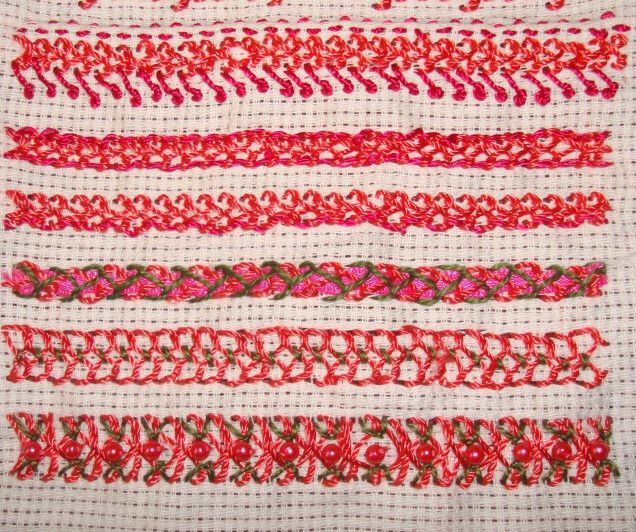 The stitch was whipped on both sides in the second row and laced on one side in the third row. 4.A satin ribbon was couched with this stitch worked in two colours in the first row. I liked working this sample. Straight stitches were worked in the middle of crossed feather stitch in the second row. 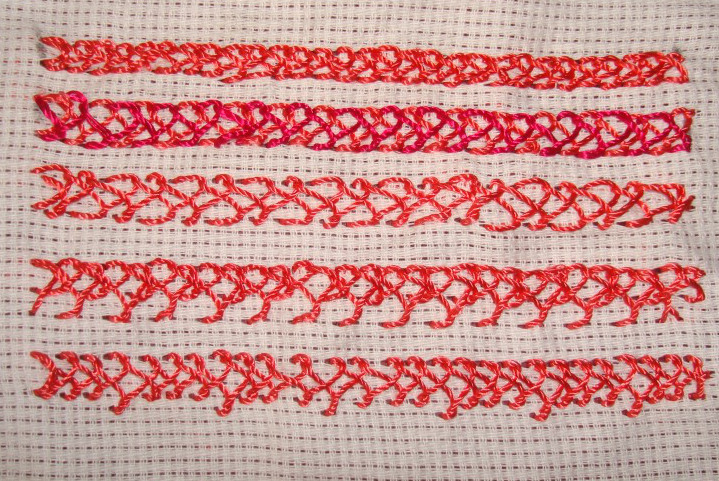 Fly stitches and beads are worked with this stitch on the last row. This is another feather stitch variation which makes a heavy border which was part of TAST 2013 Challenge by SharonB. The working is on her blog. 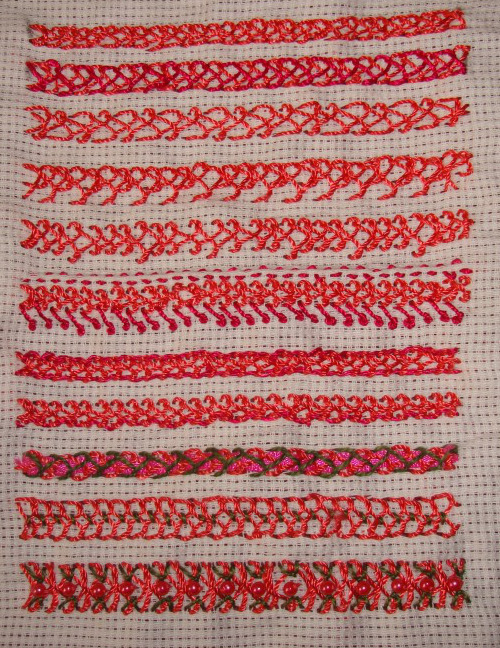 The sampler started with the basic crossed feather stitch in the first row, the stitch worked in two colours in the second row, and the broad version of straight feather stitch crossed with narrow version of the same in the third row. The longer feather stitches are crossed with short feather stitches in the first row, the feather stitch with different heights on one side is crossed with another feather stitch in the second row.